The Glacier wall light from illuminati features a round back plate with a curved supporting arm rising up and over from the back plate. The K9 crystal faceted cube is suspended from the arm on thin wire. 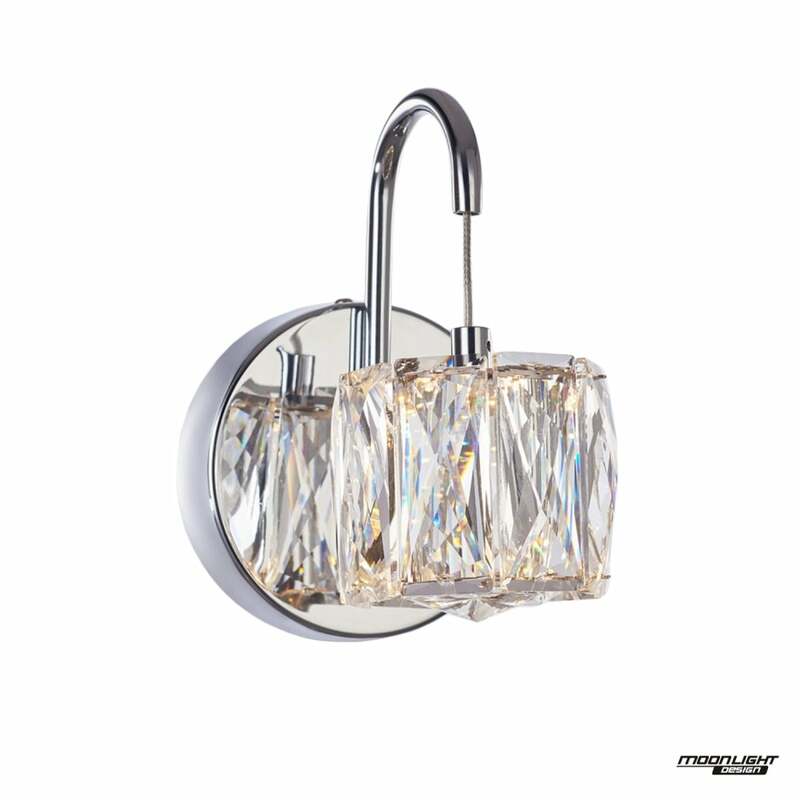 The 3.6W LED bulb produces a warm light that shines through the many facets.